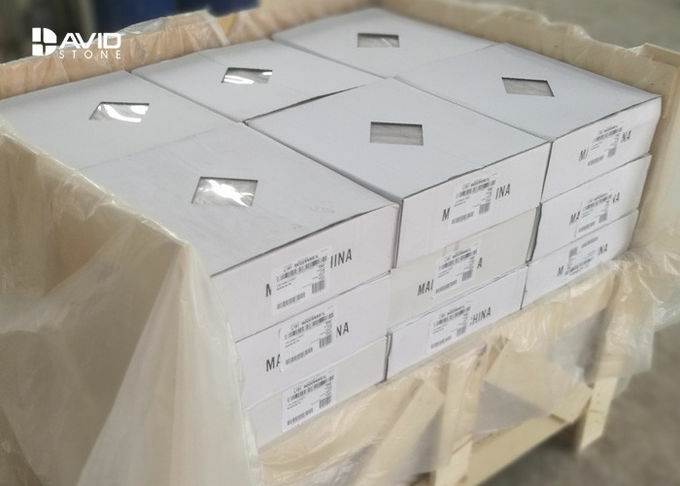 ISO9001 factory of 80,000sqm major in tiles and mosaics. Carrara blocks are directly imported from Italy quarries. 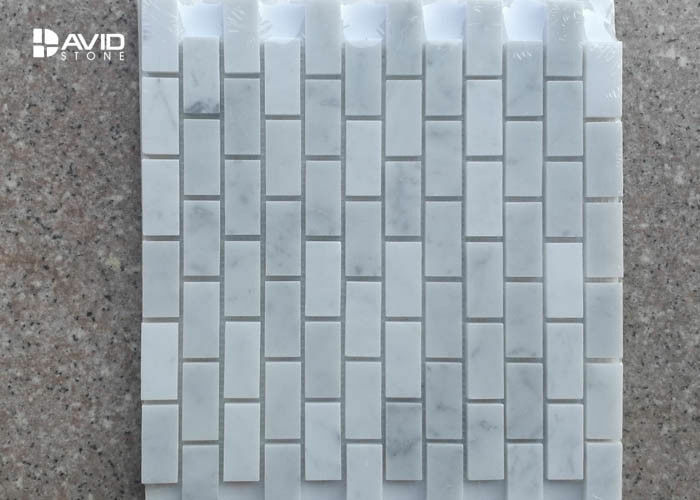 Our collection of Carrara Marble Mosaics has so many options to choose from. Mosaic tiles are very versatile choices for a wide range of different settings. They’re used literally everywhere in tile design, and across a huge range of different décor styles. Check out the beautiful and exotic range of mosaics in factory Fujian. 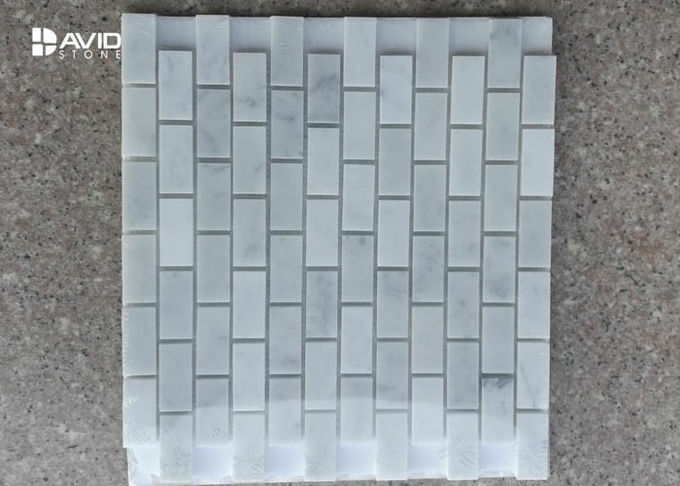 David Stone mainly supply White Carrara marble and related products, such as carrara marble slabs and tiles, carrara marble mosaic tiles, carrara marble countertops, carrara marble kitchen tops, carrara marble bathroom tiles,etc. Derived from a Greek word that means “to sparkle, flash and gleam,” marble is luxurious, classic and timeless. Carrara marble characteristically is cloudy-grey and snow-white marble with fine, feathery veining that often appears to be linear. The variations in marble veins are a feature of the product. Our Carrara Marble mosaics are truly elegant and classically understated. The mosaics are cut from Italian Bianco Carrara marble which is available in a soft honed or shiny polished finish. The mix between the sophistication of marble formed in contemporary shapes and patterns makes the product suitable for both contemporary and traditional styling.